I found this picture on my phone and it made me laugh. I took it the last time Molly and I went out for breakfast at Big City Bread - I had a wonder quiche and toast and potatoes. But I don't eat crust. Of any kind. Ever. Maybe I shouldn't really say it that way. I will eat through the crust to get to the good stuff. Like, I don't require that the crust be cut off (my mom would never have done that!). 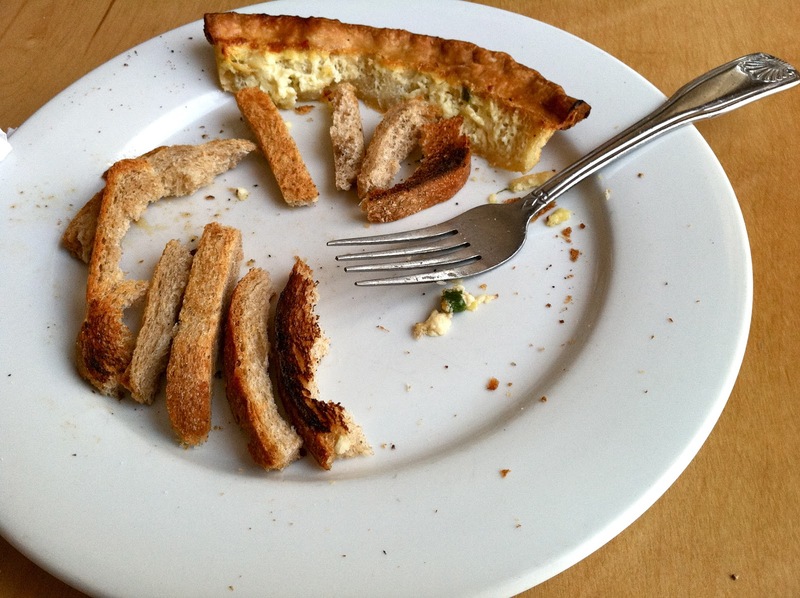 So anyway, I had quiche and toast and when it was all said and done, this is what was left on my plate. And Molly started laughing, saying that it looked like a pile of bones. So I snapped a picture and then forgot about it. And then today it made me laugh.